!! OMG, he’s kinda hot: New King of Bhutan !! The residents of Bhutan started celebrating yesterday to commemorate the crowning of their new king, 28-year-old Jigme Khesar Namgyal Wangchuck. They will party for three consecutive days to honour the His Majesty. Circuit Party, Buddhist style! 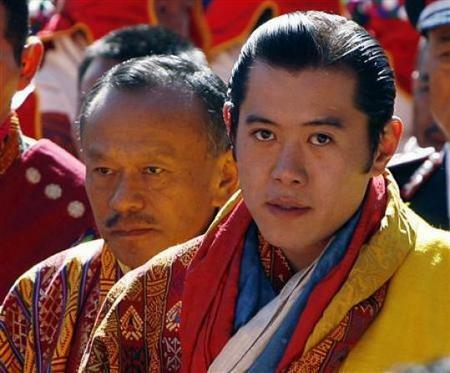 3 Comments on "OMG, he’s kinda hot: New King of Bhutan"
This is not his best picture. Those royal robes makes him a bit plumper than usual. I have seen lot of his picture over last year. He has nice glowing skin and a killer smile with dimples. I think he is way, way hotter and manlier than those pasty Brit royals!!! Kinda hot? He’s hot as hell.